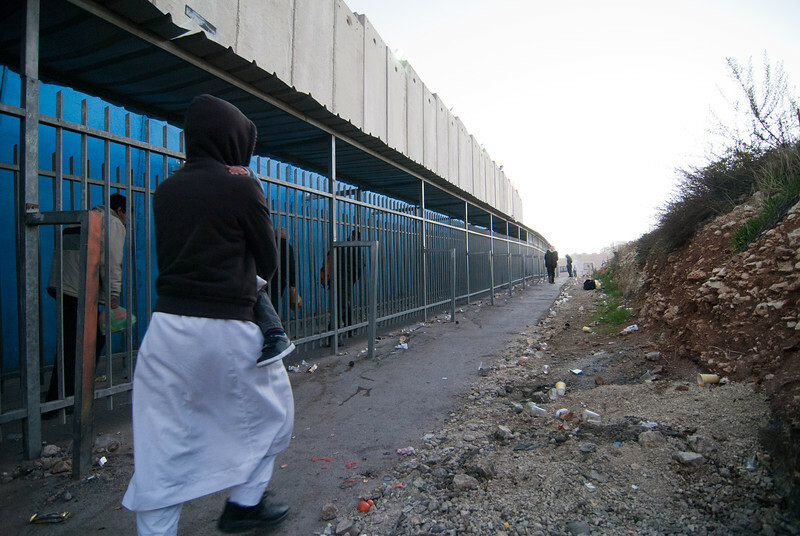 A Palestinian brings a child from Bethlehem to Jerusalem through a checkpoint. A short recap, which has been published earlier in Christian Times (and available online, albeit behind a paywall), is reproduced on the Palestine Information Website—a Chinese-language website dedicated to the Israeli-Palestinian and related issues, set up by some Taiwanese advocates who’re inspired by Rachel Corrie—an American peace activist killed by an Israeli bulldozer 9 years ago when trying to stop a Palestinian house from being demolished in Gaza. She’s then become a symbol of the international solidarity with the Palestinian people. Her parents have subsequently filed three lawsuits, the first one in the United States, against Caterpillar, the supplier of the bulldozer, for selling the machinery knowing that it would be used in circumstances in violation of international law. The case was dismissed by the court under the rationale that, since the sale was made through the US Foreign Military Financing program, it’s a matter of the Executive Branch’s foreign policy decision and something that the Judicial Branch cannot intrude. The second one was filed in Haifa, Israel against the Israeli army, for a symbolic amount of 1 USD and legal costs. The court ruled just a few days ago that it’s a “regrettable accident” and, that’s it. The comment sections of various news outlets were pounded by people applauding or denouncing the verdict. The third one is yet to be heard. On a brighter note, here’s an enlightening account of a discussion between some religious Jews in a synagogue, about the lynching of a few Palestinian youths by a group of Israeli Jews. Previous PostPrevious Occupy Central and… What’s Next…?